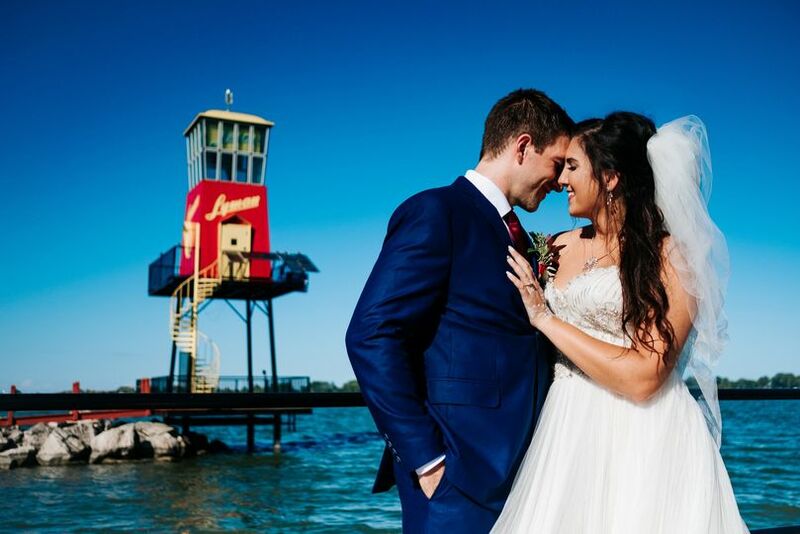 Lyman Harbor Waterfront Weddings is a marina in the Cleveland, Ohio area. 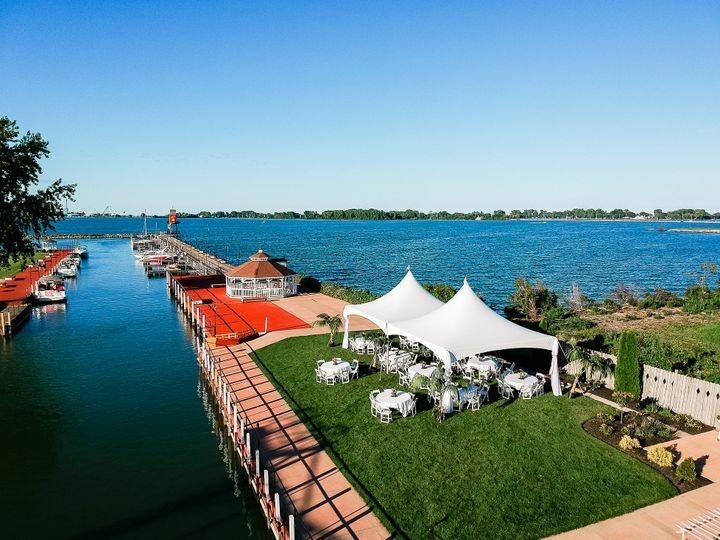 This elegant waterfront venue features a ballroom space for couples to use for their wedding and offers breathtaking views of Sandusky Bay. 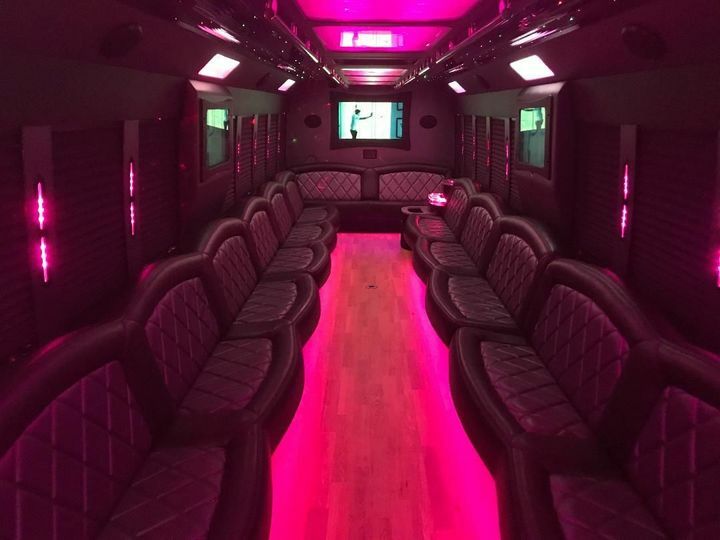 Located in Sandusky, Ohio, this venue is about a 65-minute drive to Cleveland Hopkins International Airport. Couples can marry outside near the water or in one of the venue’s numerous indoor spaces. Outdoor ceremonies take place on a grassy lawn under a classy white arch. Inside, the venue has four indoor banquet halls. The Lotus Room is the smallest. Best for intimate wedding receptions, or for ceremonies, this space seats a maximum of 75 guests. The Boeckling Room seats up to 120 guests. This room features an elegant stone fireplace and an outdoor patio. 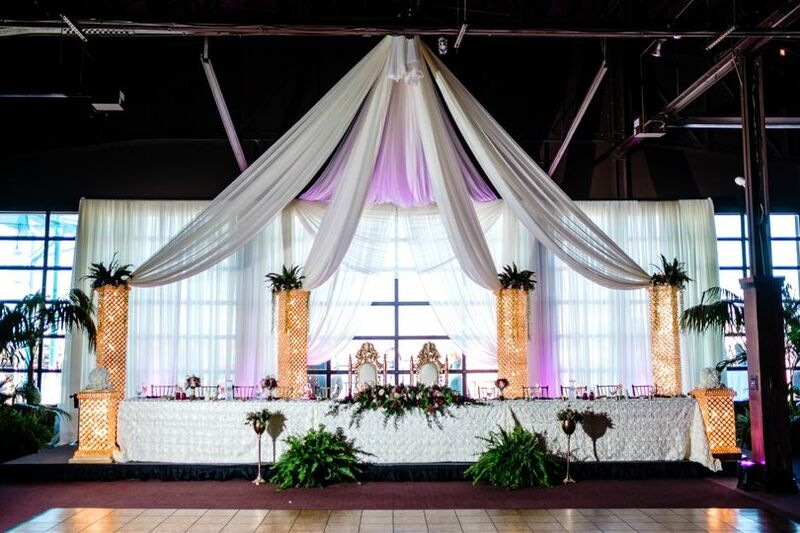 The Starlite Ballroom, which seats up to 450 guests, features graceful white columns and grand circular chandeliers overhead. As many as 650 guests can come together in the Compass Point Ballroom. This ballroom has heightened ceilings and a wall of glass windows overlooking the water. The large outdoor patio offers access to a fire pit or tiki torches as the sun goes down. 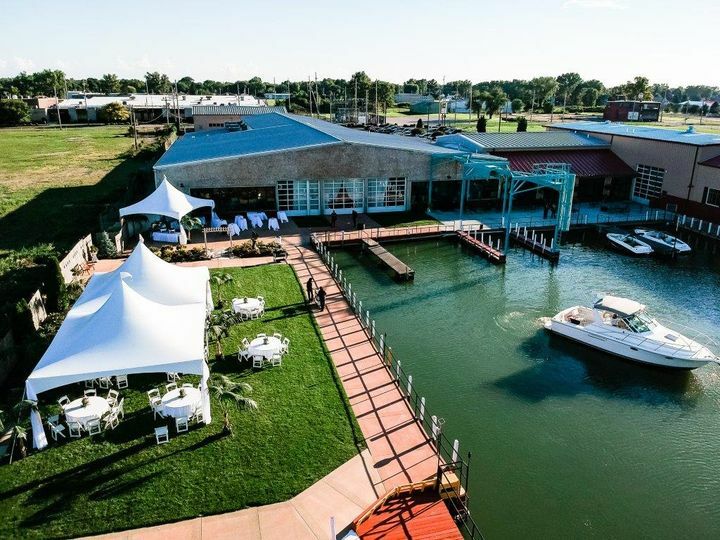 This venue’s history started in 1875 as the Lyman Brothers Boat Builder company. They produced the Lyman boat after establishing their boat yard near Cleveland, Ohio. In the late 1920s the brothers renamed their company to Lyman Boat Works and relocated to the venue’s current location in Sandusky. The factory initially produced small sailing and rowing vessels, but by the mid-20th century was churning out custom sail and power boats. Production finally ceased in 1973 as the demand for wooden boats disappeared. Lyman Harbor opened in 2002 as an event venue under new ownership, and has been welcoming sailors and celebrators ever since. o	Staff: excellent. Everyone we worked with at Lyman was very professional and pleasant to work with. 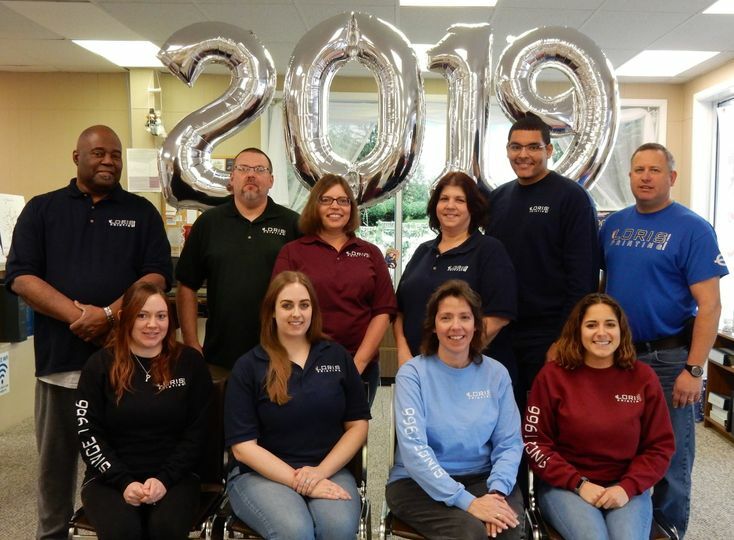 Although they experienced some turnover while planning our reception, Lea Ann (the owner) stepped in to help manage our plans to ensure nothing was missed during staffing transitions. Prior to our wedding, a new coordinator, Kelly, was hired onboard and she was amazing! 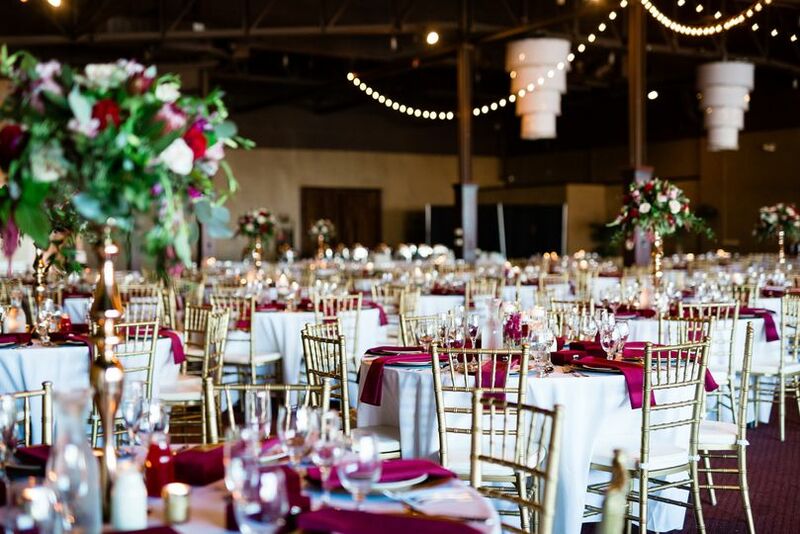 She was brand new to Lyman but you could tell immediately that she has many years of experience in hospitality and event planning. She jumped right in and made sure she was 100% up-to-date on the day-of schedule. o	Food: very good. All the food for your event is prepared on-site at Lyman by their in-house team. We had appetizers for our outdoor cocktail hour. We didn’t get too try much ourselves as we were busy mingling with guests- but the food was gone before we knew it and received high praise from our guests! For dinner, we chose the Anchor package. Our room set up was 9 long banquet tables and we had dinner served family style. They brought out trays of food for each table to be passed around with plenty of food on each tray. The food was very good and no one left hungry. o	Venue: excellent. You cannot beat the view at Lyman Harbor! With the large garage-door style windows overlooking the water and Cedar Point on top of the beautiful large light fixtures in the room, there isn’t a whole lot of decorating you need to do in addition to what is already there. We were initially worried that the room would fee empty as we only had 150 guests, but the room filled right up and the open space in the back near the restrooms and the kitchen was hardly noticeable. Jordan - Thank you so much for your glowing review. 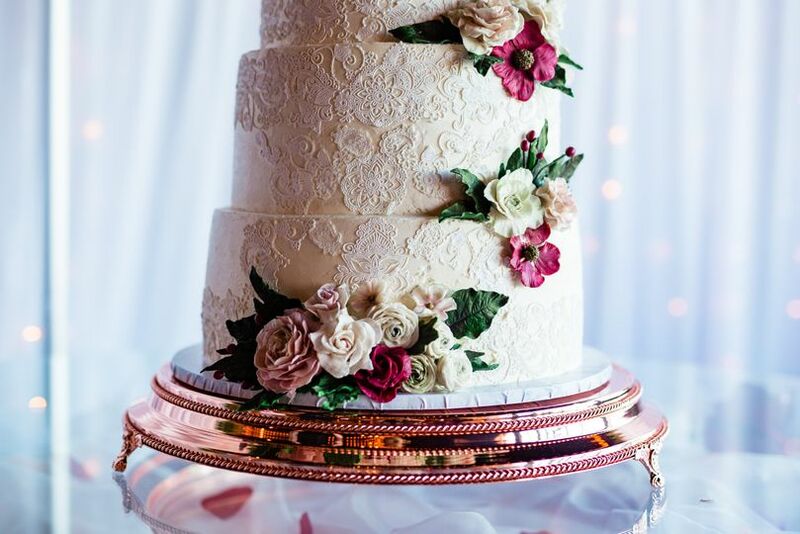 We are so glad everything was perfect for your special day, and we always appreciate feedback on our staff, venue and food. Congratulations on your wedding, and all the best from the Lyman Harbor Team! Lyman was perfect venue for our wedding reception. They were wonderful to work with. Taste testing of food was great, and food night of our wedding was as good as at tasting. Still receiving compliments on food, venue, etc. Lyman allowed us to come in Tues before our Sat reception to review table seating lay-out and allowed me to make changes. Also we were able to come in on Fri (day before wedding) and set up all our personal decorations. Our reception was perfect and everything I dreamed it would be! Elena, Thank you so much for the glowing review. 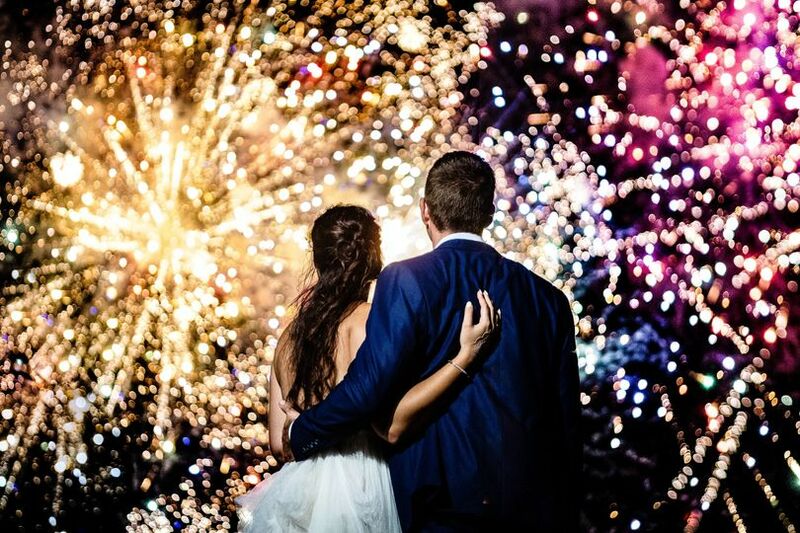 We are always very happy to have helped make your special day unforgettable! Congratulations! 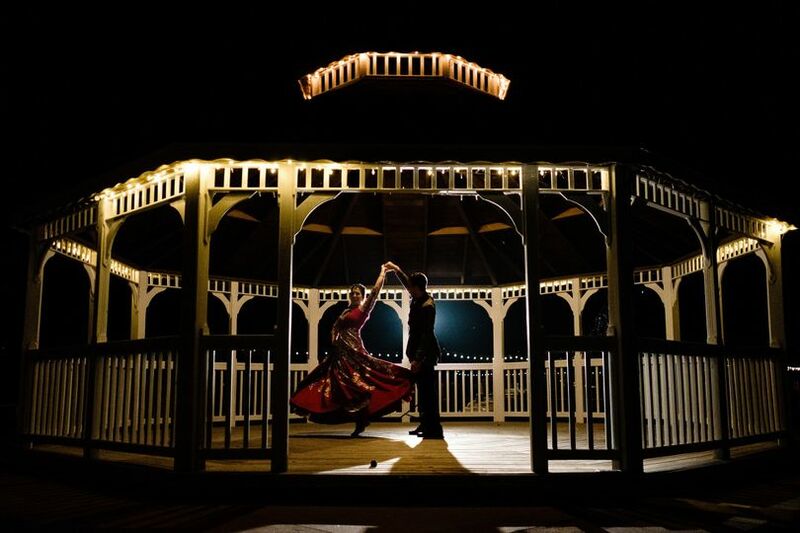 Our wedding was held on Lyman Lawn and the reception was in Clinker's Ballroom. The catering manager changed 3 times during my planning process but things still went smoothly on our wedding day. The only hiccup was the chicken that was served was different from what we tasted. At our tasting we had a grilled chicken breast and at the wedding we had a breaded chicken breast. It was still delicious and our guests enjoyed it. The manager is awesome! We were allowed to come in the day before to decorate the room. He allowed us to stay over past closing hours to have rehearsal. He was very helpful and kept a smile on his face. The venue is very nice and has a great view. You get a lot for what you pay. I'm glad I chose this venue. It is nice to work with a "Local" business. You really do have the best view on Sandusky Bay! We are looking forward to the summer bridal show. 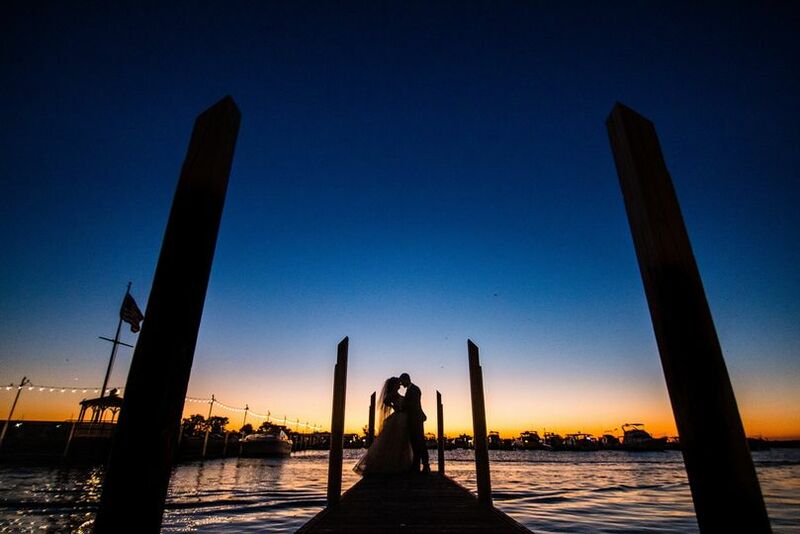 I&apos;ve been to a few weddings at Lyman Harbor over the years. This is a beautiful venue. Located right on the water, you really couldn&apos;t ask for a better view. 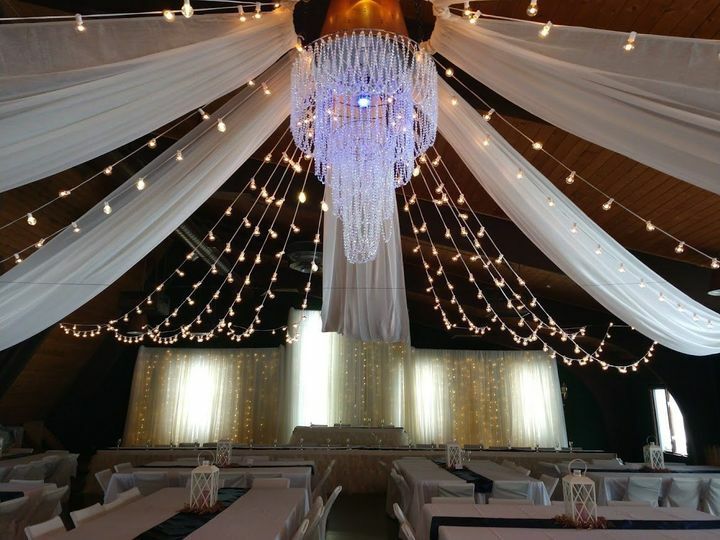 I&apos;d highly recommend this venue for your special day!